Dice of the First Degree: 2x2 Demo board. So, that last article went ballistic. I was running around in the 50-60 views per post with a few exceptions. That last one got retweeted though, and re-posted and all sorts of things. The day it dropped, I got 400 views on that article alone. I should have added pictures or something lol. My name is out there and it was a spur of the moment quip. I'm glad it's doing well though. This is a project I've been wanting to do for a bit.There's 5 FLGS in our community, and some have terrain and some don't. There's not just one place for me to keep demo gear, so I've got to take it with me to various stores when I support endeavors there. I also wanted to have everything self-contained so I can just grab and go with no concerns. 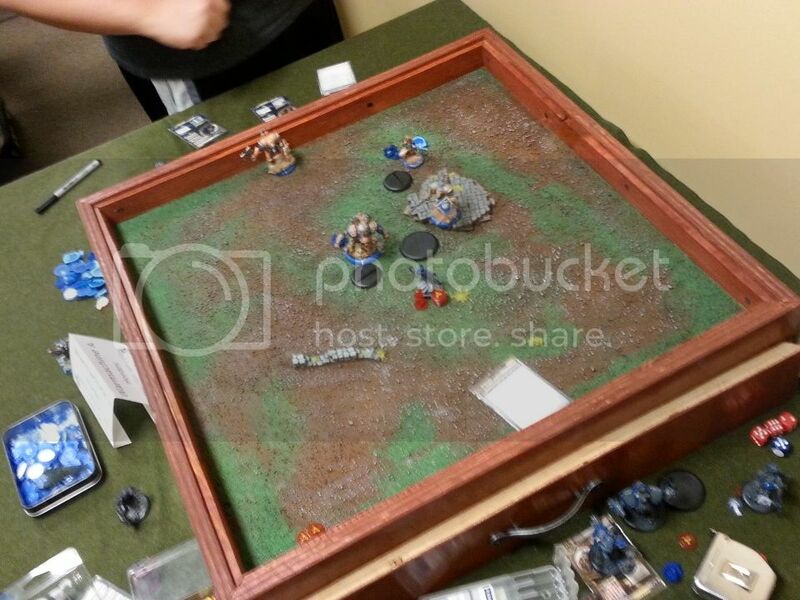 One of our FLGS just opened a second branch, and opening day was yesterday. I also have another demo day tomorrow at another store, so this kind of thing is nice to have. Yesterday I was on my feet from 10 to 6 running demos. Great time, but I'm doing nothing but sitting today. 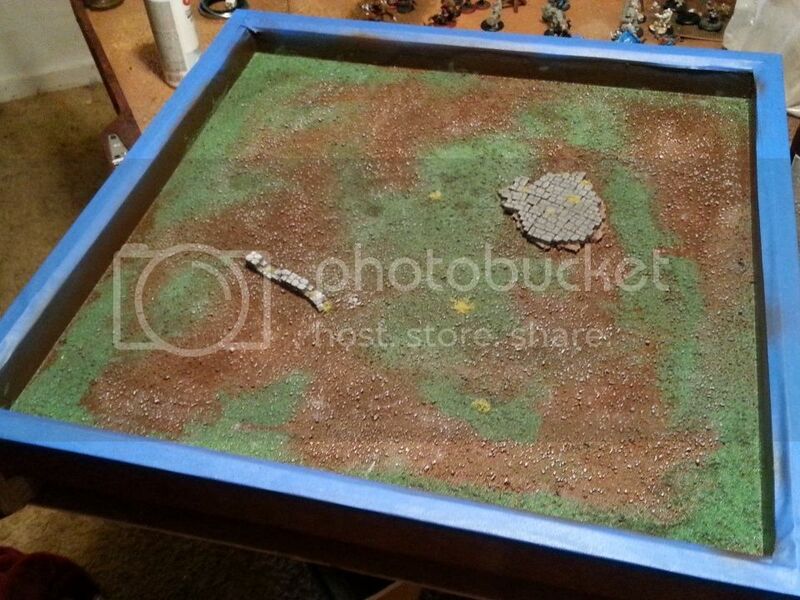 They didn't have any terrain when I got there though, so I was really glad to have had this box. It's nothing super crazy, and certainly not Poppabear skill but it's definitely inspired by his work. It's already pretty heavy, so I didn't want another four pounds of plaster in it. The bulk of it is 3/4'' Birch plywood cut at 45 degree on the corners to hide the layers. 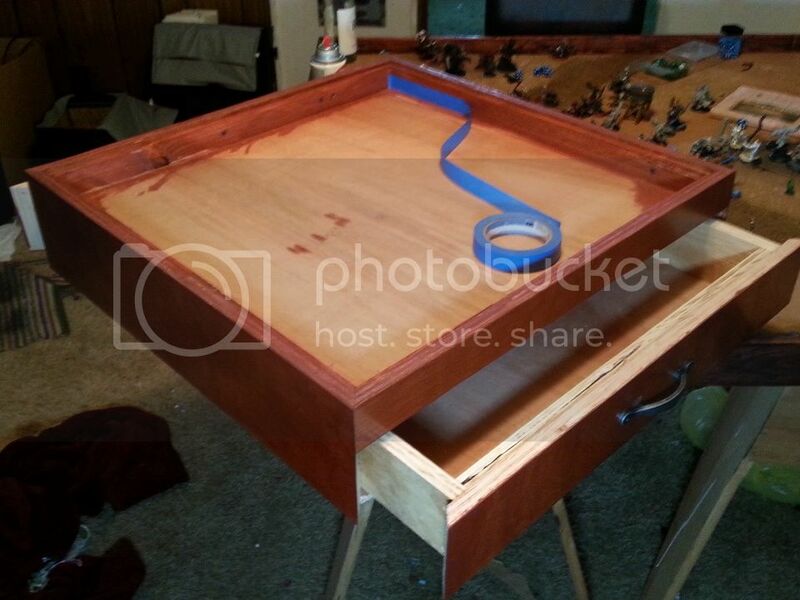 I ran cheap lathe around the inside up top to glue/screw the playboard to and leave a ledge to put a future lid on. The drawers are regular plywood with fronts of the same Birch. 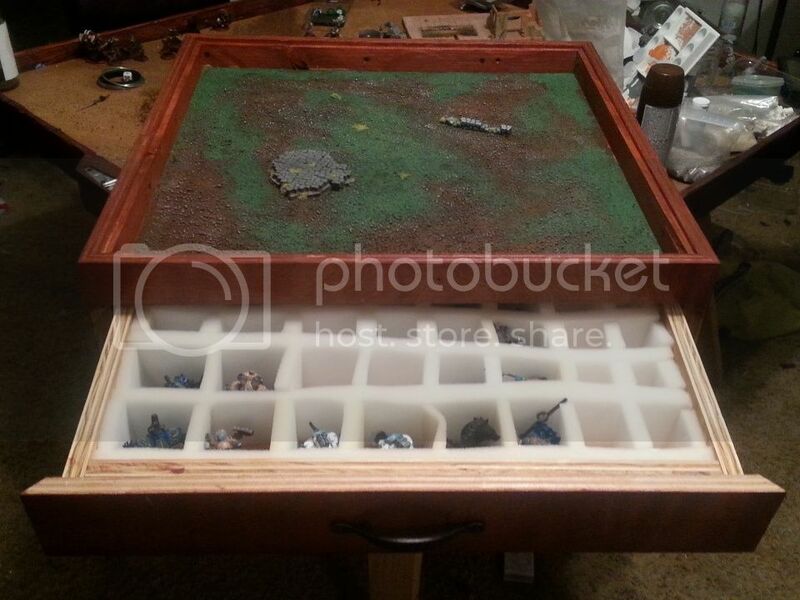 Both sides will have foam all through it when I have more Battleboxes, but for now I only have it on one side and my gear is in the other side. And a couple of WIPs. The terrain was simple. I spread white glue all over, threw various ballast down, sprayed it with MAXX brown spraypaint. I glued down a little bit of Hirst work, the hill being on a base of corkboard for height and rock. 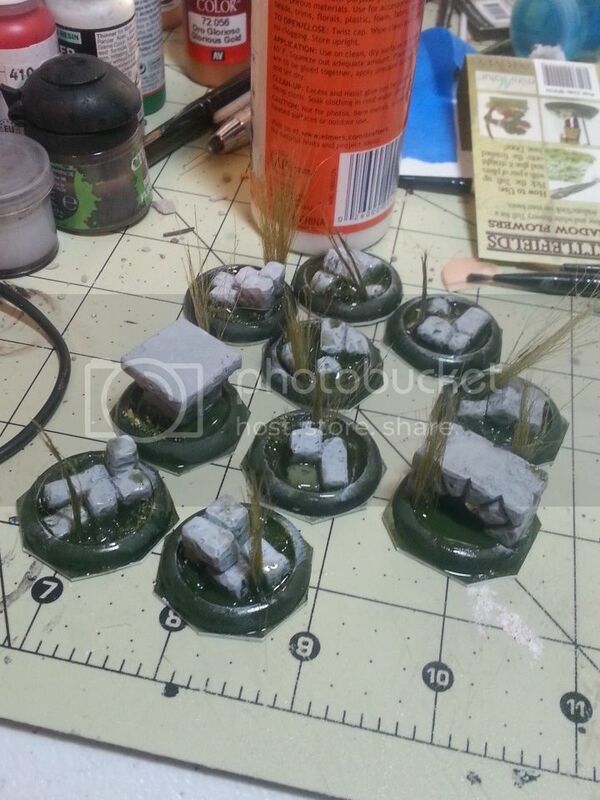 Drybrushing, then some Army Painter Flock, and random tufts. Sealed it and removed the tape. I'm probably going to add in a forest on the hillside but was pressed for time. Otherwise, she be done. That's that. 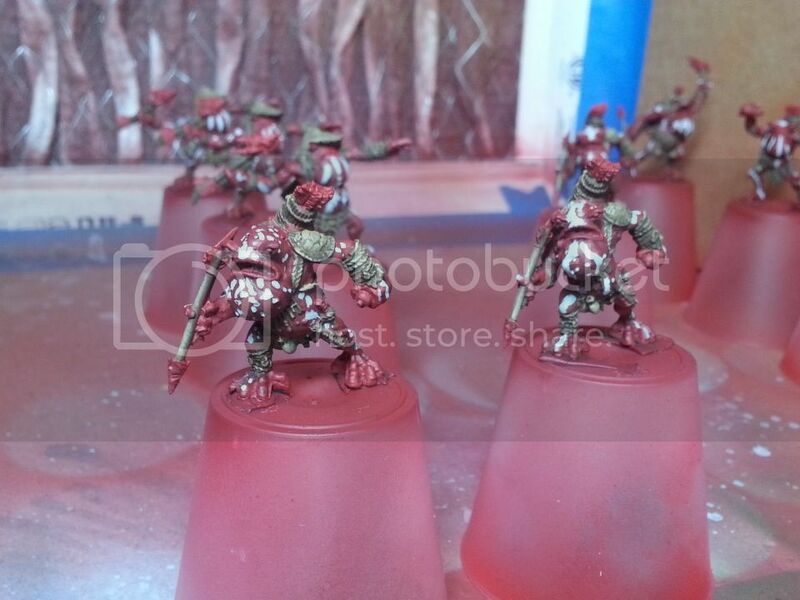 Croak Raiders are close. They're close. They're going on these. It's really close. Then on to more commissions. Anyways, that's the update. Cya around.